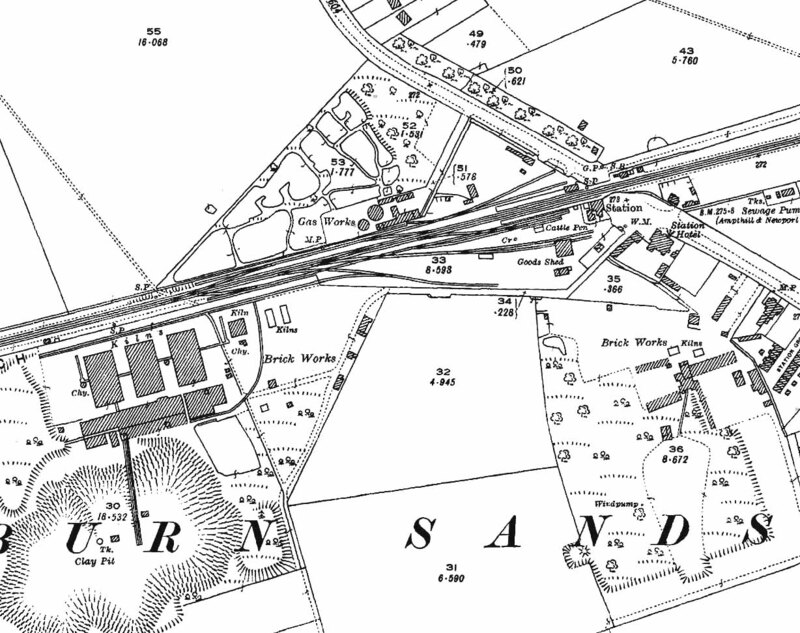 1925 1:2,500 OS map, There have been minor changes in the goods yard. The other three turnplates have been removed and the position of the yard crane is now identified between the sidings. The Woburn Sands brickworks is seen on the right but it has no rail connection. The large brickworks of the New Fletton Brick Company opened in the early years of the 20th century to the west of Woburn Sands. This has a rail connection to the Bedford line and an internal tramway.